Like gold, silver is money. It is also an irreplaceable industrial metal; however, unlike gold, silver is used up in the many processes for which it is essential. Silver's industrial applications are growing on a daily basis in order to keep pace with rapid developments in technology. In 1980, even with the silver price at a historical high, four billion ounces of aboveground silver existed. Today, because of silver’s dual role, only one billion ounces exist. Silver, like gold, is a monetary metal and a safe haven, and it cannot be debased like modern fiat paper and electronic currencies. Throughout history, silver has been used as money in more regions and countries than gold. Like gold, silver meets the criteria for universal money: it can be easily divided into equal parts, it is found worldwide and it is extremely durable. 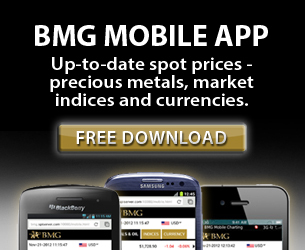 Silver remains historically undervalued, even more so than gold. In 1980, when record amounts of silver were stockpiled, the gold:silver ratio was 16:1. Currently the ratio is fluctuating around 51:1. 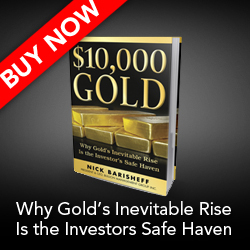 At a 16:1 ratio, silver today would be over $100 an ounce when compared to the price of gold. One of silver’s most unique features is its disproportionately large short position on the COMEX that has yet to be covered. Although “commercial traders” in most markets are commercial producers who wish to guarantee a fixed price for their corn or their copper, in the precious metals markets, bullion banks hold the largest short positions. Currently, the COMEX short position of the eight largest traders represents one-third of the total one billion ounces of aboveground silver bullion in existence. Silver has industrial uses that no other material can replace. It is malleable and ductile, and is capable of being formed into fine jewelry, hammered into thin sheets and extruded into microscopically thin wires. It is a superior conductor of heat and electricity. It is highly reflective, which is why it is used in mirrors. It also has antimicrobial properties that make it ideal for surgical applications, and as an additive to everything from paint to clothing. Because of its dual role, silver has never faced greater demand than it does today. In 2010, total fabrication demand grew by 12.8 percent to a 10-year high of 878 million ounces, and use in industrial applications grew by 20.7 percent to 487.4 million ounces. Although silver mine supply rose by 1.4 percent to 761.6 million ounces* in 2011, the yearly amount of mined silver has been less than demand for the last 15 years. There are very few pure silver producers; 20 percent of silver is mined as a by-product of other metals. This could be problematic in the event of an economic slowdown. Currently Mexico leads the world in silver production, followed by Peru. We can see that silver has the monetary properties of gold combined with strong and growing industrial uses. These attributes make it the perfect portfolio complement to gold.